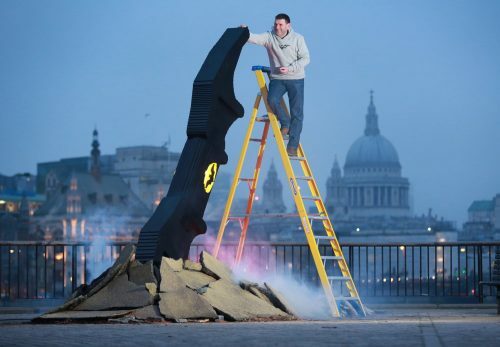 Earlier today we saw what happened when a huge Batarang hits London. Now we have just been sent over a nice “making of” featurette. This wonderful feature shows us how much work was involved as well as how much fun it gave to everyone who saw this.